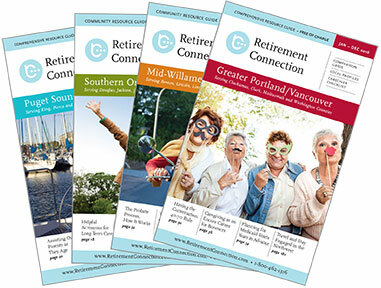 The guide continues to grow in Snohomish, King, and Pierce counties. We are currently running our earlybird 10% discount for ad space in the next edition and were so excited to see the volume of businesses that took advantage of the offer so far. We have other guides in Oregon, but the Puget Sound edition continues to outpace the other guides in ad space, the number of resources, and distribution. Thank you for helping us provide the most comprehensive resource possible for our community. (CEU posters are due TOMORROW). All others will be able to register next week - space permitting. There are about 10 spaces remaining; the registration will close automatically once full. 100% of the registration fee goes to low-income patients at the hospital. In addition, the Tacoma General event is quickly approaching on August 7th! Register now to secure your space. Please remember we want to be more than another print guide. The 3 dots of our logo represent the Guide, Website, and Network. Let us find more ways to network and be a resource for you and your business. 11:30 AM Save the Date! Registration is now open for 2018 Puget Sound Sponsors to reserve their CEU space. In the past 2 months, after the death of a friend and team member, I have struggled at times to “act the person that I am expected to be”. Am I too stable, too soon? Am I sad, too long? Am I too focused on the wrong things? So now- I am working to just feel what I feel and be present and authentic. Sometimes it may not hit the nerves of others as I intended, but I am just as likely to hit a different nerve by not being true.